Are you looking for a delicious lamb recipe with a difference? If you are, you’ve found it! 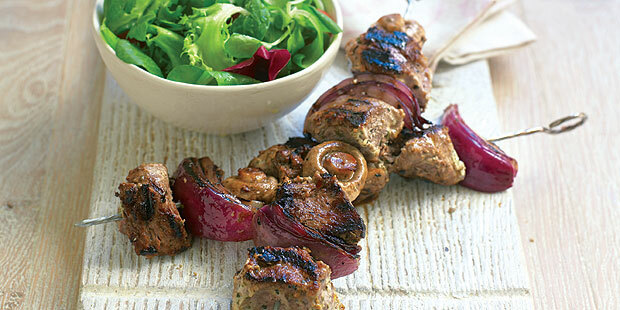 Here’s my skewered marinated lamb with rosemary & mint for you to enjoy. Feast your eyes on the finest skewered marinated lamb with rosemary & mint! It’s straightforward and fun to make this great dish. Simply follow the instructions below and get the perfect result. Mix together the yoghurt, mint sauce and rosemary in a large bowl and season with salt and pepper. Add the lamb and mix well to ensure that each piece is coated with the marinade. Leave to marinate at room temperature for 10 minutes. Preheat a griddle pan until hot or, if you prefer, a barbecue. Thread the lamb on four metal skewers alternating each piece with the onions and mushrooms. 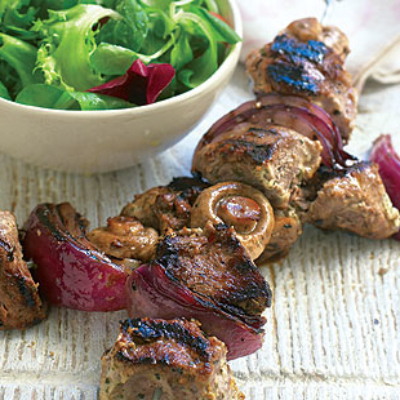 Cook the lamb on a hot griddle pan or barbecue for 3–4 minutes, turning the meat to ensure that each side is coloured. Serve hot. 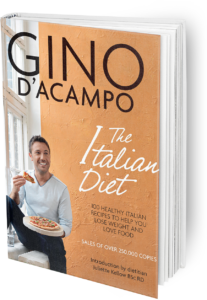 Once you’re done, simply sit back and enjoy your skewered marinated lamb with rosemary & mint and don’t forget to check out other great authentic Italian recipes including great antipasti recipes, Italian pasta recipes, Italian soup recipes, Italian beef dishes and authentic pizza recipes.